As I mentioned in a previous post, I’m presenting the Prezi portion of this workshop which is a wonderful mix of technology, a history presentation, a national park tour, and lunch in an old brothel. Check out the Prezi about Prezi (metaPrezi?) that I’ll be giving. Included are step-by-step directions for including Discovery Streaming files in Prezi. Google Calling: This Fixes Everything! 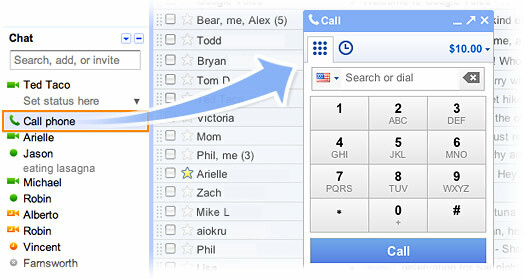 Google released a new feature in GMail this week, “Call Phone,” that promises to replace an entire VoIP ecosystem that I have cobbled together over the years. First, I’d like to explain how things did work, and then I’d like to show how Google has simplified placing and receiving voice calls on my computer for me.